"Bruce Ray’s book is a wise, balanced, helpful, biblical, and encouragingly fresh look at what the Lord’s Day should be for every Christian. His work is meant to instruct, but also to stimulate sound thinking and encourage practical application. Each of these eight readable chapters is followed by questions to deepen the perceptions of the reader and promote a God-pleasing response. I do not know what more could reasonably be asked of a book on this subject." "A tidal wave of anti-Sabbath influences is crashing against the modern church. . . . Pastor Bruce Ray has made a major effort to shore up our understanding and practice of Sabbath keeping. 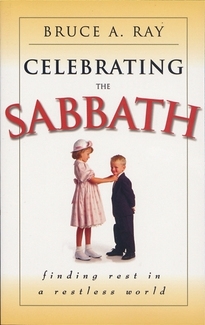 Celebrating the Sabbath is delightful reading about a recurring day of delight. How we need these principles and wise directions!"